Below is our collection of green and brown bow ties. We at Mens-Ties.com carry a large assortment of bow ties ranging from a bright lime green to a more conservative forest green. 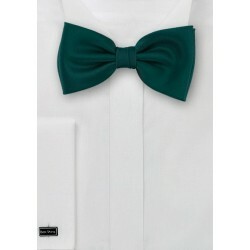 Above are bow ties in a wide range of greens. For the spring and summer season we at Mens-Ties.com carry bright green bow ties such as lime-green, Kelly-green, bright sage, apple-green, and neon-green. If you are looking for a more subtle color then there are also darker green bow ties such as hunter-green, forest-green, shamrock-green, and olive-green. Our assortment of brown bow ties above ranges from a light and festive ivory to a dark chocolate brown. Typically the lighter the brown the more formal it will appear. Especially bow ties in ivory, cream, tan, and champagne are popular for weddings and other formal occasions. Dark brown bow ties look are more casual and make a perfect choice neckwear for non-formal dress codes in combination with classic suit, blazer, or sports coat.